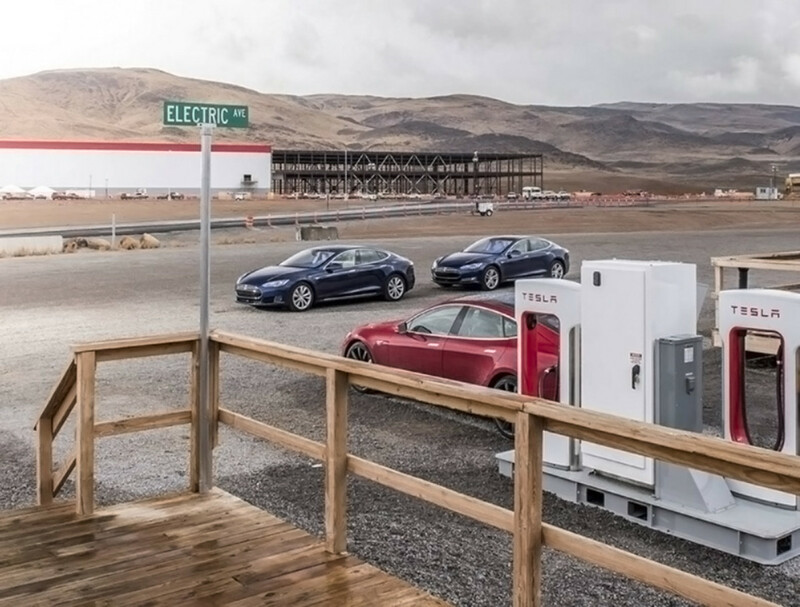 A photographer on Instagram has uploaded images showing the inside of Tesla’s new Gigafactory in Nevada, reports autoblog. James Lipman, a British car photographer uploaded the images to his own profile five days ago, but has since removed two of the photos inside and around the building. Thankfully, someone was clever enough to pull them off so now we can gawp at what Musk’s latest creation will look like – from the reception. The only image offering any real detail is of the lobby which has a few black leather sofas and the words, “Giga Factory 1” emblazoned on the wall. The number is a clear giveaway of plans for the car company to build a lot more, with rumors of close to 200 at some point in the future. The other image, shows a series of Teslas parked on Electric Ave which the site has already named as the factory nears completion. The two final photos meanwhile – which remain on Lipman’s Instagram page – show the interior of a car amidst a rugged Nevada backdrop and a bunch of rocks. There have been some previous images of the site, and even some drone footage, but nothing of inside the factory itself. The massive building, which is planned to include more than 10 million square feet of floor space, will produce enough batteries to power 500,000 cars per year. When it’s completed – either this year or next – it will become the world’s second largest building by volume, behind Boeing’s Everett Factory in Washington.